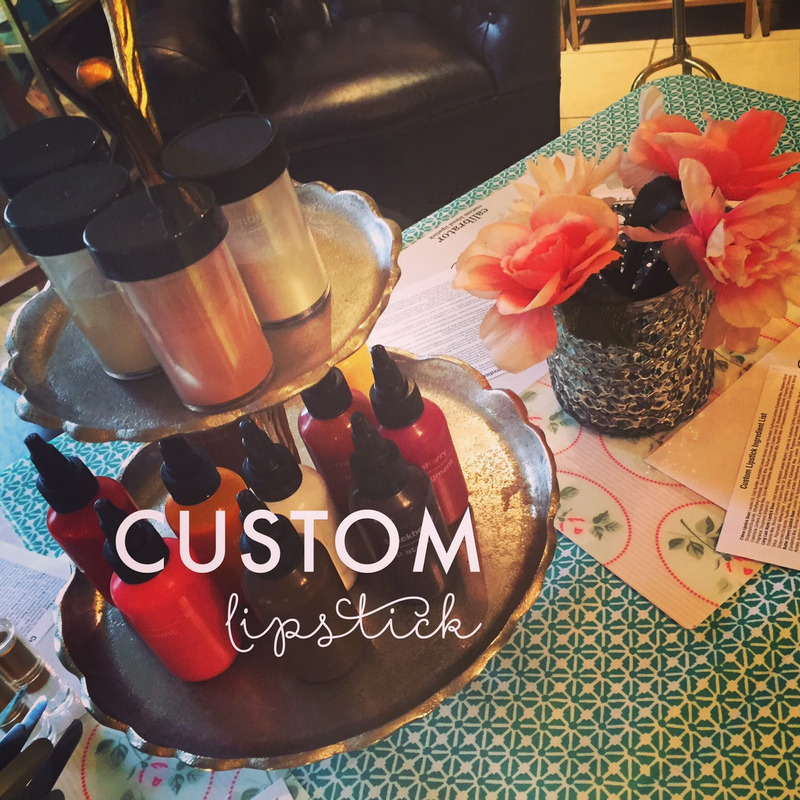 Salt Lake City, April 24, 2017– Craft Lake City announces a Custom lipstick workshop with Natalie Parkin of the Skinworks School of Advanced Skincare. The workshop will be held on Monday, May 15, at Skinworks from 6:30 to 8:30 p.m.
Natalie Parkin has been a supporter of Craft Lake City since its inception as a crafter and creator herself and as a member of the Craft Lake City Advisory Board. Parkin prides herself on promoting creativity in the community. As the owner of the Skinworks School of Advanced Skincare since 2005, her greatest enjoyment is watching her students grow and become business driven estheticians. Offering the latest in esthetic technology and superb customer service, Skinworks is a one-stop shop for your beauty needs. Participants at this workshop will learn how to create two custom tubes of lipstick in the color and fragrance of their choice. There is a $30 material fee. Pre-registration is required. Visit our website or Facebook page for more information. Skinworks is located at 2121 South 230 East, Salt Lake City, UT 84115. Workshop Attendance Policy: Participants are now required to arrive and check-in with the Craft Lake City Workshop Coordinator five minutes before the workshop begins or their spot will be given to a participant on the waitlist. If you wish to be added to the waitlist, please arrive 15 minutes before the workshop begins and check in with our Workshop Coordinator. You will be added to the waitlist to take the place of an absent participant’s spot. The waitlist is first-come, first-served. Waitlisters are not guaranteed admittance. About Craft Lake City: Craft Lake City is a 501-C3 charitable organization. Our mission is to educate, promote and inspire local artisans while elevating the creative culture of the Utah arts community through science, technology and art. In an effort to keep the community active, educated and aware of local DIY culture, Craft Lake City hosts monthly workshops, gallery shows, fundraisers and an annual festival to promote regional spending with independent artisans and businesses. The 2016 DIY Festival will be held at the Gallivan Center, 239 S. Main Street, on Aug. 11 from 5 p.m. to 10 p.m., Aug. 12from Noon to 10 p.m. and Aug. 13 from Noon to 6 p.m.
About Skinworks: Skinworks School of Advanced Skincare is a local esthetics school that seeks to provide students with the highest quality education and state of the art training in both the basic and master esthetics fields. Skinworks’ training team is dedicated to providing the latest teaching materials, techniques and products in skincare through continuing education, seminars and personal study.